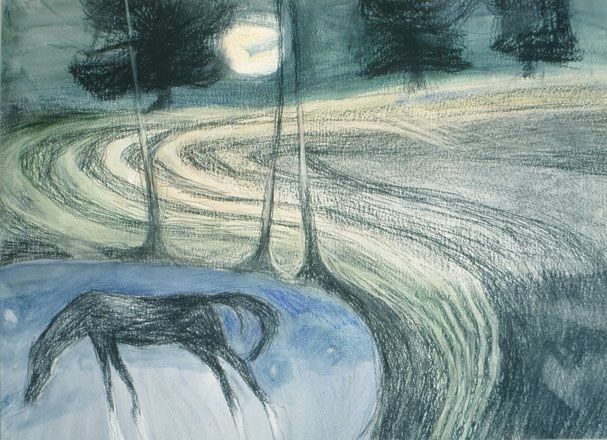 Born in Llangadfan, Powys in 1955, Eleri Mills studied Art and Design at Manchester Polytechnic before returning to live and work in the same Welsh-speaking rural community in which she was brought up. The beautiful landscapes that surround this small community are the greatest influence on Eleri’s work. Growing up on a farm, the land has always been integral to Eleri’s life and has instilled in her a strong sense of belonging. She is a master at working with both hand-stitched pieces and mixed media paintings. 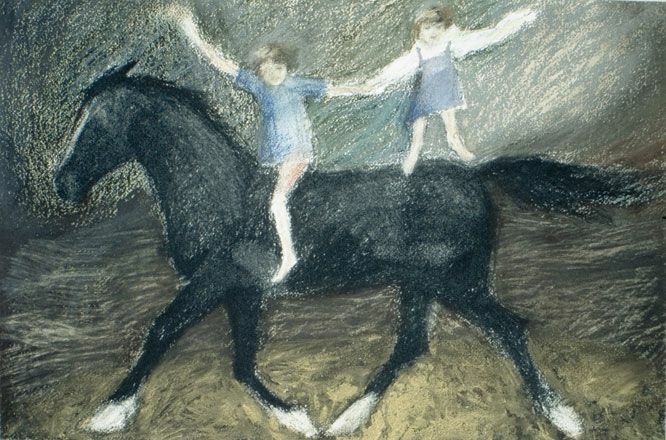 She depicts a vision of Wales that is multi layered, highly personal, timeless, poetic, real and other worldly. 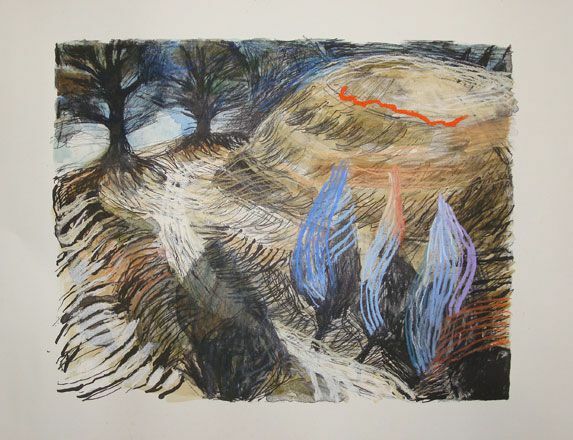 Whilst rooted in a passion for the history of ancestral Wales, her work is also contemporary. Her work has been exhibited in both London and Wales, throughout Europe, the USA and Japan. Eleri was elected to the Royal Cambrian Academy in 2000. Previously the winner of the Most Outstanding Exhibit at the Art of Stitch Exhibition at the Barbican, London, in 2010 she won the Creative Wales Ambassador award from the Arts Council of Wales and was artist-in-residence at Columbia Unviersity, New York in 2012.